The Coalition Government's funding to help New Zealand's most vulnerable will hopefully be the start of a "snowball effect" for Rotorua, according to Love Soup's Elmer Peiffer. Budget 2018 has promised $3.8b to build 6400 more state houses by 2022, $170m for emergency housing and insulation subsidies for low-income families. Child poverty has also been addressed with $7.9m of funds to establish a Child Poverty Unit and $104.9m to provide an annual clothing allowance of up to $1500 for carers looking after children. Peiffer said any extra funding for the homeless and young children was high as long as the Government continued to look at the bigger picture. "Short-term or transitional housing is needed, but if there is a time-limit or deadline put on how long people are able to stay in emergency homes, it will also add to their pressure. They [the Government] also need to be mindful of the affordability of living costs in emergency and state houses as this is often unaffordable after rent. "There are some homeless people who have had tenancy issues and who landlords will simply not rent a home to," Peiffer said. "These are the people who will ultimately need a Housing New Zealand home and who will need emergency housing until one becomes available." He said even if Rotorua, as a city with a high number of homeless, were to get 100 new Housing New Zealand homes, that number wouldn't be enough. While Auckland will get the lion's share (3500) of the promised new public houses, the remaining 2900 will be built in areas where the need is greatest. "But anything is better than nothing, and while this is a scratch on the tip of a very large iceberg, hopefully, the Budget will be the beginning of a snowball effect that will lead to many more successes." Budget 2018 also includes almost $43m to expand its Housing First for homeless programme. The programme provides services for more than 900 households in Auckland, Christchurch, Tauranga, Hamilton, Wellington and Lower Hutt. The expansion will include a further 550 families in households outside of these regions. Ngawhainga Kiriona-Winiata, from the Pouhine Charitable Trust, said the Budget did not address Rotorua's immediate need. "I work with the rough, rough sleepers," Kiriona-Winia said. "Any emergency or state housing will not be available until well after winter, and we need something now." She said her team had been running a shelter in Koutu. "We're head-to-toe full at the moment. I have had to find alternative accommodation for the increasing number of rough sleeping women as they can't be housed with the men. Kiriona-Winiata said she had been involved in "hui-after-hui" with Rotorua Lakes Council, Government and other organisations and had been telling them more shelters would be the only way to provide an "immediate" fix for Rotorua's homeless. 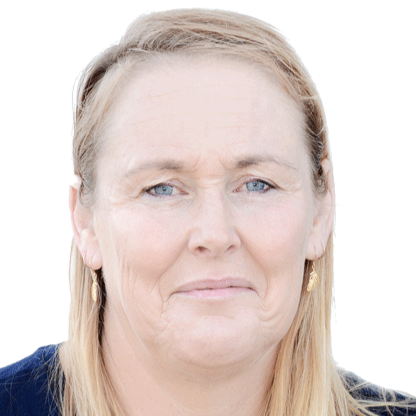 "I believe it doesn't matter how much money you throw at temporary and state housing until Rotorua's broken housing and mental health services are fixed." Salvation Army's Major Campbell Roberts said the Budget would assist the most vulnerable New Zealanders, but it would not rid New Zealand of the combined plagues of homelessness and child poverty. Child poverty, another social issue, has been allocated $7.9m of operating funding over four years to establish a Child Poverty Unit. The unit will advise on policies that affect poverty among children and coordinate the Government's work to reduce poverty. As part of investing in New Zealand's young, the Budget allocates $104.9m of new money for carers to receive a $1500 annual clothing allowance for children they look after. Rotorua grandmother Lorna Hurihanganui is raising a grandchild and says the $1500 annual clothing allowance would make a huge difference financially. "School uniforms are costly and additional to the everyday costs of a child," Hurihanganui said. "I've only got one grandchild, but I know of one Rotorua Nanny who is raising six [grandchildren]. I'm sure she, and others, will be celebrating when they hear the news."